Nothing says summer like an unlined, semi-sheer, leg-baring white dress. Easy to pair with a variety of items and lightweight for the scorching heat, this dress style is perfect for the season. 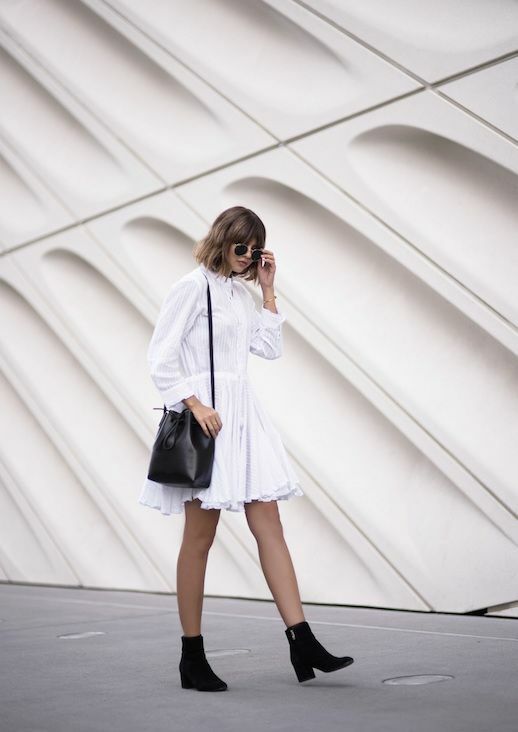 Fashion blogger Talisa Sutton styled her Zadig and Voltaire dress with black heeled ankle boots, a minimal black bucket bag and classic sunglasses.